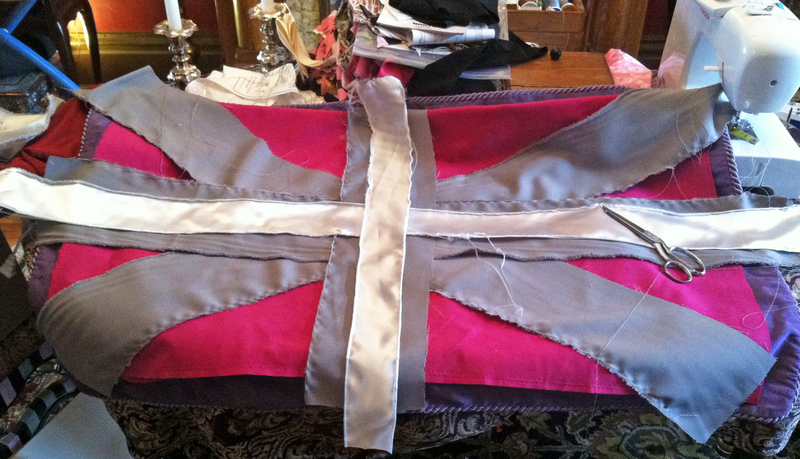 In researching ideas for my “Chic Rock Star Glam” bedroom make-over, I kept coming across images of the British flag (or Union Jack), which I like very much. It has sort of a mod, punk-rock feel, but I wanted to “chic” it up a bit, make it my own, and of course, make it myself. Believe me, I am no seamstress. I can barely sew a straight line, so the design had to be simple. 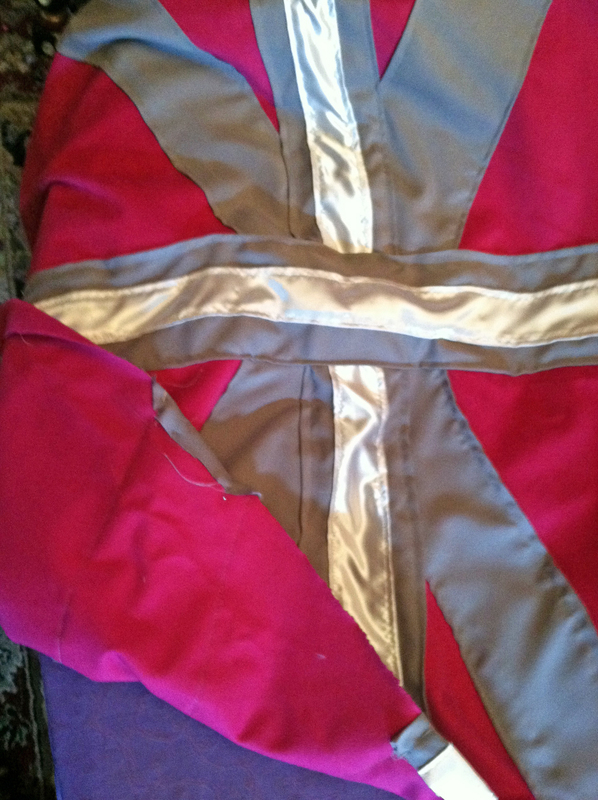 I had a large piece of magenta ultra-suede left over from an old project. I used that as the base. I had a large pillow that used to be on the bed back in the old “Purple” days. I pulled the pillow out of the old purple case and used it to measure for the new ultra-suede pillow. I then used fabric scraps left over from the new curtains I sewed for the bedroom (more on that in a future blog post). I cut them into strips and ironed the edges under. 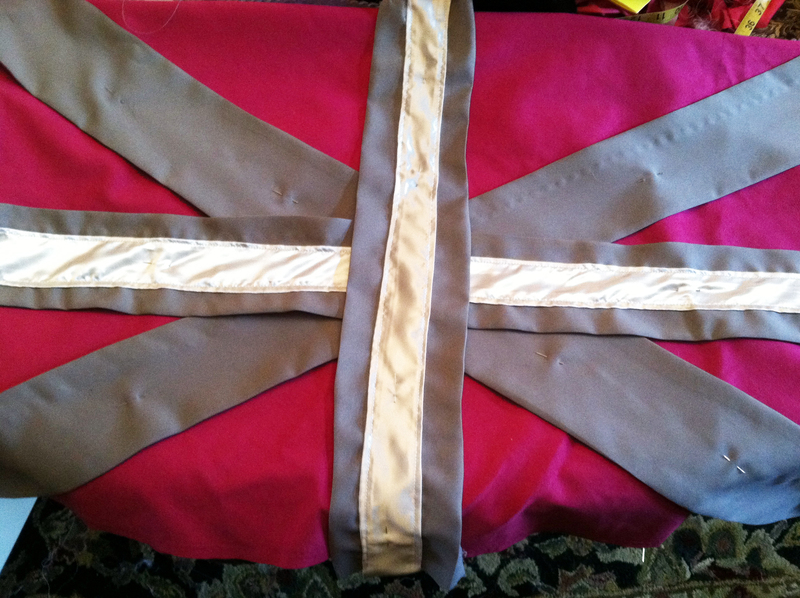 I played around with the design until I liked it, then pined the strips to the ultra-suede, and started sewing. It was all simple, straight-line work. I really like the result. Even my musician-man digs it. Is it perfect? Heck no, (I would not be getting an “A” from the sewing teacher) but it works and is just the sort of look I was going for. It took about 2 hours, and was basically free, as I used bits of fabric I already had. The rest of the “Chic Rock Star Glam” bedroom projects are on the way! 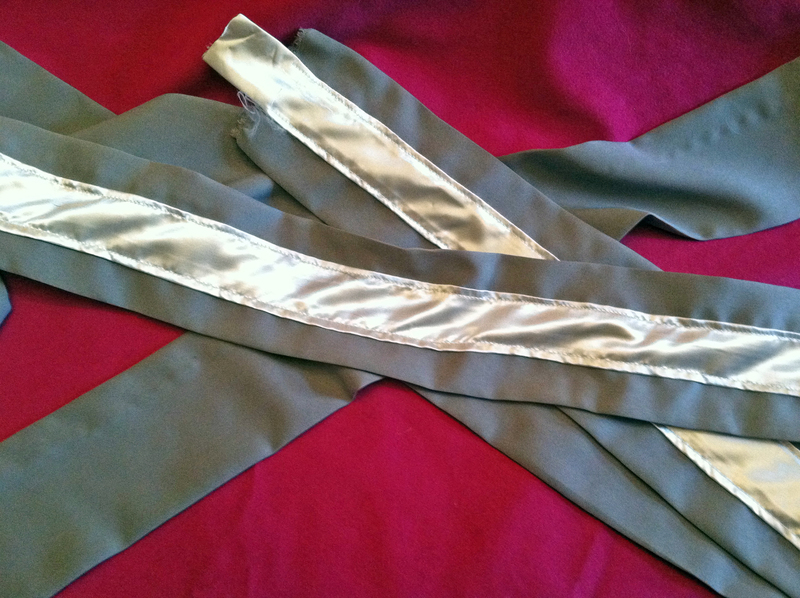 Strips ironed and satin layer sewn on. The design is pined down, time to sew. Strips sewn in place, time to finish the edge. Oooo, Love these wooly pillows form Neiman Marcus, they would look great on my Rock Star Bed! 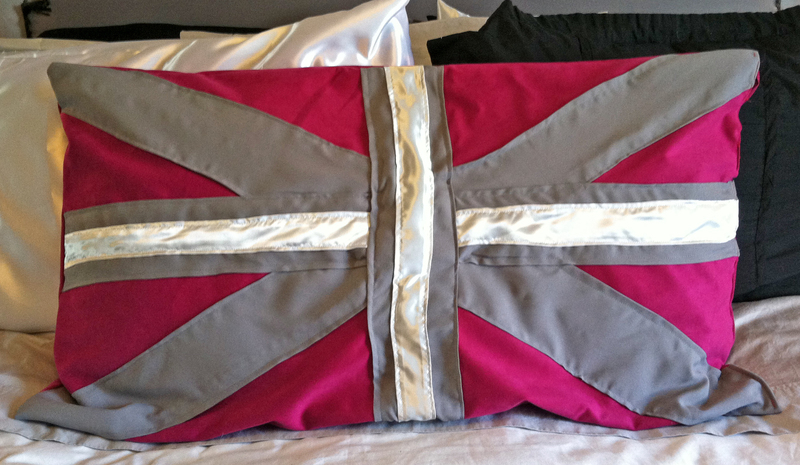 This entry was posted in decorating, DIY, home, lifestyle, Uncategorized and tagged bed, bedroom, bedroom makeover, bedroom remodel, british flag pillow, decor, decorating, designer pillow, DIY, diy pillow, fine living, how to pillow, lifestyle, personal style, pillow, redecorating, redo, restyle, rock star bedroom, style, union jak pillow. Bookmark the permalink.